In a stunning 7-0 vote, the New Rochelle City Council voted tonight to approve a re-stated Memorandum of Understanding (MOU) to developer Forest City Residential. Coupled and running concurrently with the MOU will be the city’s issuance of a Request for Proposal (RFP) seeking options for the adaptive re-use of the Armory. This essentially places the historic building into the mix as a major player in the overall scheme for development of the Echo Bay waterfront. The surprising vote was the result of Council’s last-minute “tweaking” of the latest version of the MOU. Under the revised plan, the time frame for coming back to the table has been shortened from 18 months to 8 months. This will give City Council the opportunity to review the proposals for the Armory, Echo Bay and the plans for the city yard at Beechmont side by side offering a view of how the various components will relate to each other. 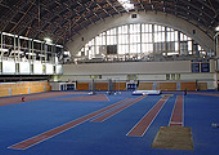 One of the fundamental sticking points was in keeping the Armory building and its property intact. 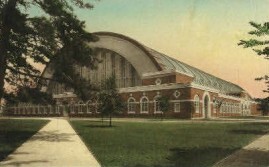 Originally, Forest City was planning to destroy the Armory to make way for housing. 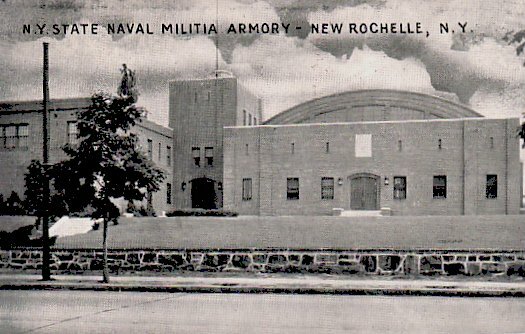 Subsequent plans by the developer had envisioned cutting off the “annex” part of the Armory and taking over the property behind the Armory. 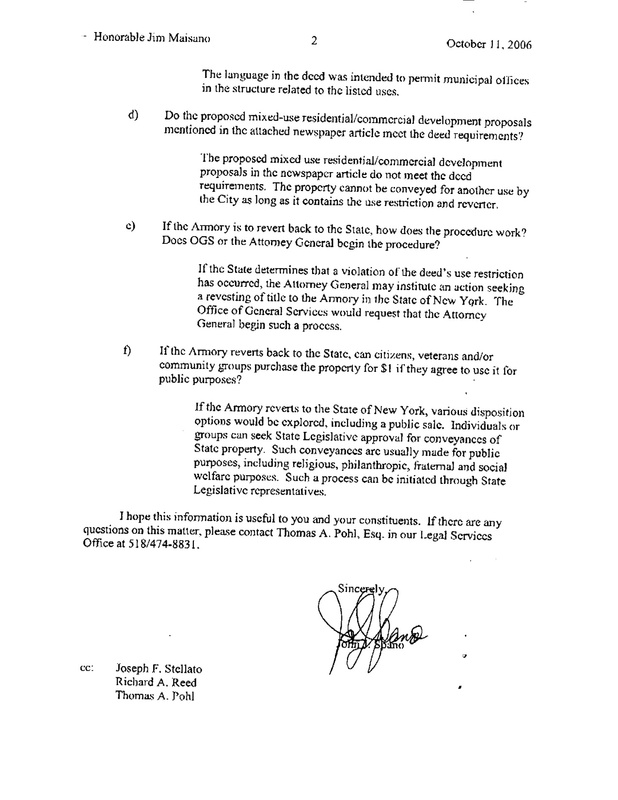 Under pressure from Councilman Hyden and others, the plan now calls for separating the Armory and its property from the development envelope so as to allow interested parties to have a feasible parcel to work with in the new Armory design. We salute Council for working together in the interest of the City and realizing the significance of this historical building. As reported in an article from Talk of the Sound , “This is a win for everybody,” said Ron Tocci, co-chair of the Save Our Armory Committee. “It shows its possible to have bipartisan agreement for the good of the City.” . This is a monumental step in the right direction. We’ve gone from the city’s outright refusal to co-operate with restoration efforts to actively participating in the discussion to explore the potential. 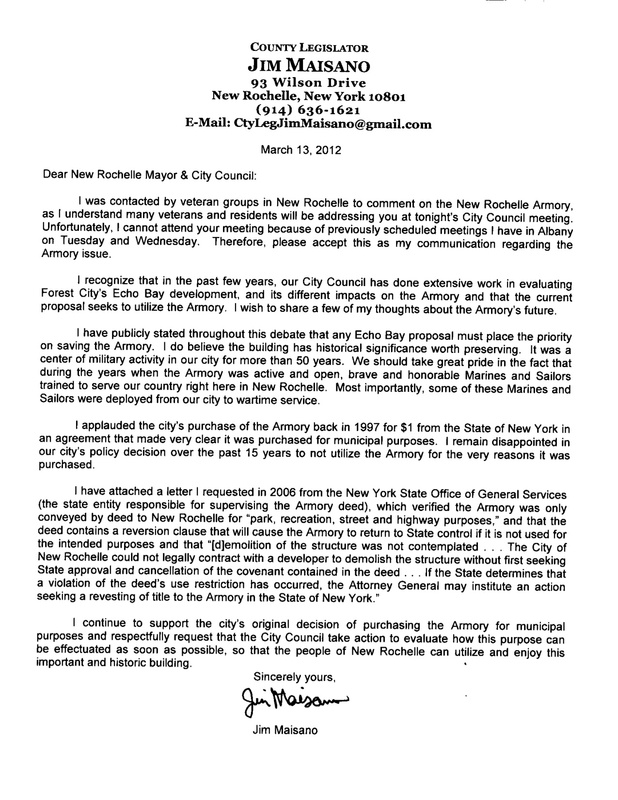 It’s a win-win for everyone, especially the residents of New Rochelle. The Save Our Armory Committee would like to thank the bi-partisan support in making this first step possible. Cooperation at this level is fundamental to bringing about the support needed to allow this historic icon to return to service. 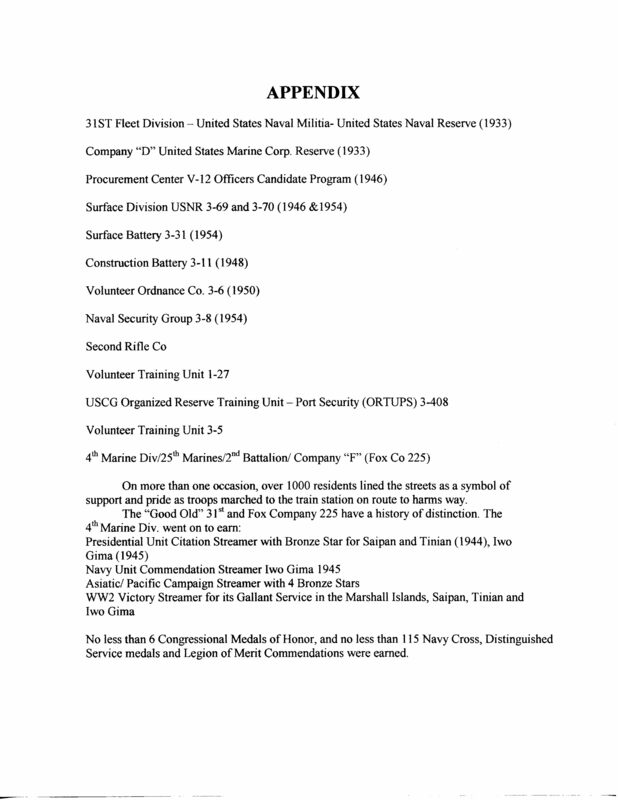 Service to the community, remembering the sacrifices of our Veterans and reinforcing our commitment to preserving history to help shape our future. 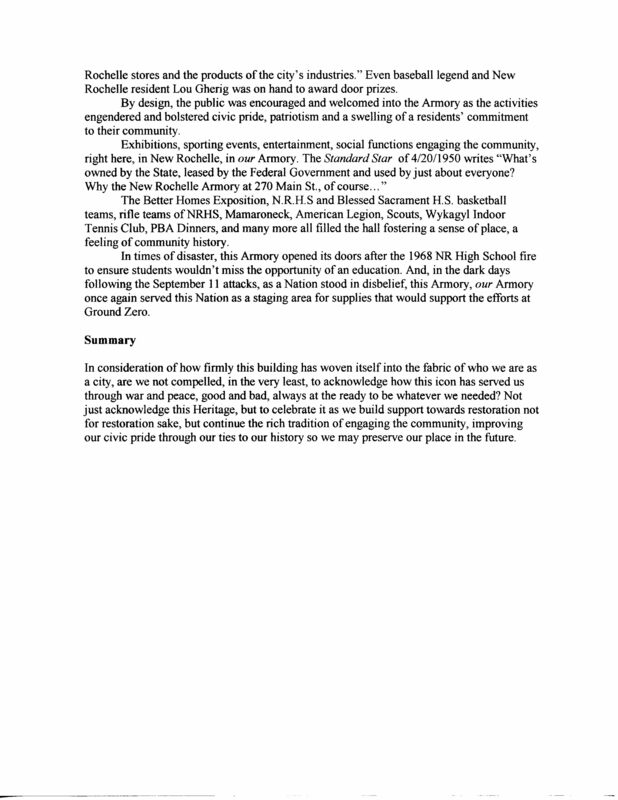 Long time supporter of the Armory, County Legislator Jim Maisano, expressed his concerns to the City Council in his letter of record for the latest council meeting. Support continues to grow as more and more people begin to realize the potential that exists in our own back yard. 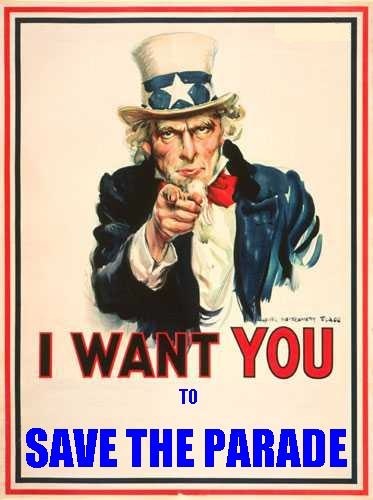 We hope you join with Mr. Maisano and the rest of the supporters to help make the vision become a reality. 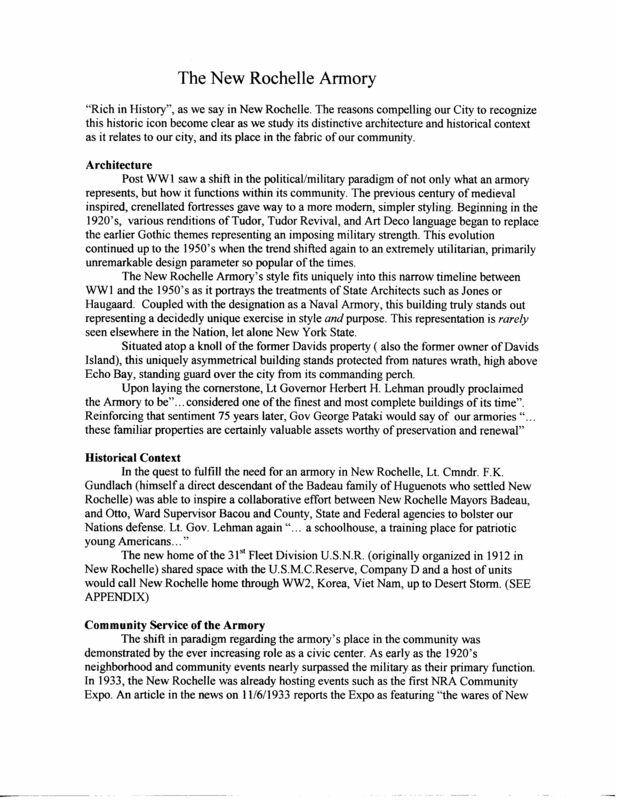 All of New Rochelle benefits when we work together. Mr. Maisano isn’t the only one who understands the importance of how the Armory was transfered to the City . 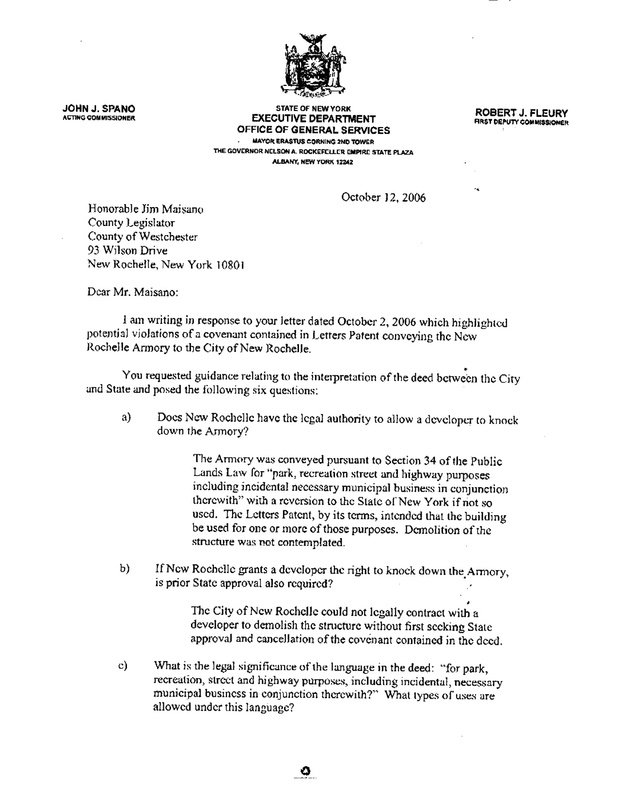 The subsequent letter from the New York State Office of General Services has offered an explanation of the terms of the transfer. The proposals for Echo Bay have consistently failed to allow compliance with the spirit and intent of the law. We thank you for your support and for the clarification.